Many academic phrases, like much academic writing, are too awkward, verbose and cumbersome to find their way into common usage. Indeed, the jargon of archaeology often leaves me, a retired but still active archaeologist, speechless with frustration. But once in a blue moon, terms coined in the Ivory Towers do manage to filter into informed general writing, if not into pub lunchtime banter. And ‘ritual landscape’ is one of these. It’s something that makes people frown and look interested, in the hope that somebody might explain. Anyhow, that’s my intention now. So sit up and pay attention! Please. The period that mostly concerns us is the two and a half millennia from 4000 to 1500 BC. It’s a long time, but a great deal happened. The last Ice Age gradually ended around 10,000 BC. There was then a sudden warming of about ten degrees Celsius at 9600 BC. By 8000 BC the climate may even have been slightly warmer than it is today. The warmer temperatures caused North Sea levels to rise quite rapidly and people were forced to move away from the game and fish-rich low-lying pastures of Doggerland (the name given to the once undulating plain beneath the southern North Sea basin) and move to what had been the distant and less hospitable hinterland of Britain, and north-western Europe. This meant that the population rose quite rapidly at the time when Britain was becoming an island – a process that was complete by about 6000 BC. The population subsisted by hunting, fishing and foraging. They had domesticated dogs (from wolves), and while some adapted a semi-migratory lifestyle, following traditional routes, others settled down permanently, often around lakes and streams. The earliest known family houses in Britain are from Star Carr in Yorkshire and date to about 9000 BC. Two millennia after Britain finally separated from the continental mainland, the first farmers arrived, in 4000 BC. By now the British population was about 200-300,000 (the same as modern Belfast or Newcastle). Farming was introduced by an influx of about 25% new people, many of whom arrived on the south coast. But this was probably not a Cowboys and Indians confrontation. Instead the idea and techniques of farming spread very rapidly indeed, reaching northern Scotland by 3800 BC. It would seem the indigenous hunter-forager population was eager to accept the new way of life. When I was a student in the 1960s, we were taught that the arrival of farming brought with it not just permanent settlement, but fixed burial sites and new forms of ceremonial monuments. There was an unstated implication that the post-Ice Age hunters had bigger things to worry about than creating new religions. All of that came with the greater leisure afforded by food-production. We now realise that this was all rubbish. Far from having less time to ponder the eternal verities of life, hunters of the recent past had ample leisure in which to create extraordinarily rich spiritual realms, that they passed down to their children – a process, surely, of education. Recent research in the landscape surrounding Stonehenge shows that there were at least three places that were venerated from early Mesolithic times, around 8000 BC. We also now know that the area continued to be populated for another 4,000 years until the introduction of farming. In other words, the diverse spiritual origins of what was to become the Stonehenge ritual landscape have roots that were very ancient indeed. The term ritual landscape is used to describe concentrations of funerary and ceremonial monuments that were constructed in the Neolithic (4000- 2500 BC) and Early Bronze Age (2500-1500 BC). So what were they? Many grew up around the two earliest classes of Neolithic communal monuments, known as long barrows and causewayed enclosures. The construction of the latter must have taken much labour. Essentially they consist of one or more ditches surrounding an irregular, but more-or-less oval, or circular, area. The ditches are dug in variable lengths, maybe ten or twenty metres long, each one of which is separated from the next, by a gap, or causeway. The banks of upcast from the ditches tend to be irregular, but are often placed on the internal side of the ditch. A plan of the ritual landscape near the villages of Maxey and Etton in the lower Welland valley, Cambridgeshire. The stippled areas have been destroyed by gravel-digging. 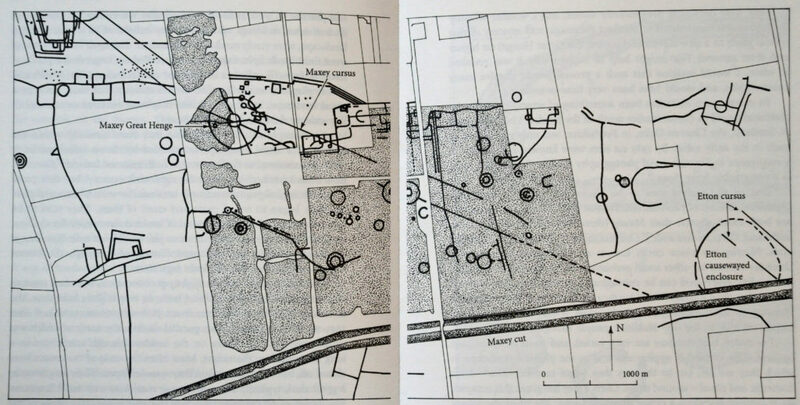 In the mid-1980s I was able to excavate an exceptionally well-preserved causewayed enclosure at Etton, in the Welland Valley on the western Fen margins, near Peterborough. The ditch was waterlogged and preserved wood, bark and other organic remains – such as the earliest piece of string (made from ax), yet found in Britain. Close examination revealed that the ditch had been dug and then immediately filled with offerings, which were placed in discrete heaps. These offerings consisted of human skulls, or inverted pots, whose round bases closely resembled skulls. Some of the offerings were of meat bones, or dog skulls. In one case an inverted pot had been placed on a birch bark mat. In a few places querns, or corn- grinding stones had been deliberately broken, before being offered to the ground. Taken together there seemed little doubt that the offerings were making statements about domestic or family life. Soon it came to us that the material placed in each length of ditch represented people or events in a particular family’s history. Long barrows came into being slightly earlier than causewayed enclosures, and some 15 are known in the Stonehenge area. Essentially they are chambered communal tombs often featuring a paved forecourt area, where the funeral rites were carried out. Bodies were placed within individual chambers that were often reached from a central passage. But unlike modern burials, bones placed within long barrows were removed from time to time, doubtless to accompany ceremonies that celebrated the achievements of the ancestors. Sometimes, too, they were returned to the wrong body, after- wards. From 3500 BC we see a shift away from communal tombs towards round barrows that featured a primary burial at the centre, which was often accompanied by expensive grave-goods, such as flint, then later, copper or bronze daggers. This change in burial practice is taken to indicate that the upper echelons of tribal society were becoming more hierarchical. A class system was beginning to develop. The date 3500 BC is when we also begin to come across strange monuments formed of two parallel ditches that from the air resemble old bomber air field runways. They were named cursus, the Latin word for a race. There are at least two cursuses in the Stonehenge ritual landscape. Their length and layout is very variable and sometimes may involve barrows or henges. We excavated two at Etton, but found nothing (the usual result of opening a cursus ditch!). Undoubtedly, however, the best-known type of monument to be found in ritual landscapes is the henge. Named after the first monument of the type (Stonehenge), henges are only found in Britain and Ireland. They consist of a circular ditch with an external bank and one or more entranceways. 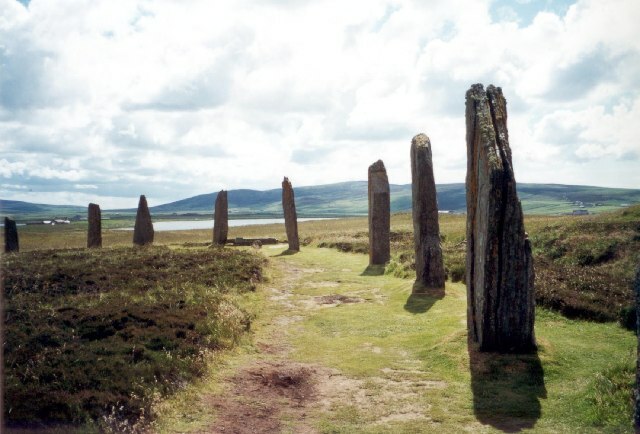 Very often they surround rings of standing stones or large timbers. Incidentally, neither Stonehenge nor Seahenge are henges, if you follow this precise definition: the ditch at the former has an internal bank and the latter lacks a ditch entirely. At Etton the causewayed enclosure was linked to the large Maxey henge by the Maxey Cursus. This axis seemed to have formed the focus of the ritual landscape, just like the better known Avenue and Stonehenge on Salisbury Plain. All ritual landscapes feature large numbers of Bronze Age round barrows, many of which can be dated to the centuries on either side of 2000 BC. These were the equivalent of graves in a churchyard, although often additional burials would be inserted into the mound, as so-called ‘secondaries’, at a somewhat later date. The Etton/Maxey ritual landscape is a relatively small one, but it includes around 50 round barrows. I have never counted the number around Stonehenge, but in the first two decades of the 19th century two archaeologists excavated some 200 between them! Ritual landscapes rarely seem to have been laid-out to impress. Stonehenge looks very magnificent, but it hardly makes one gasp, in the way that Durham and Lincoln Cathedrals do. The emphasis is always on the small undulations of the landscape. Thus the Avenue leads from Stonehenge, down to the River Avon, where pilgrims had travelled from the reception shrines at Woodhenge and Durrington Walls, about 3 hours by boat, up- stream. There also seems to be a degree of deference to the natural land- scape. Causewayed enclosures, unlike Iron Age hillforts for example, never crown peaks; instead they were positioned just off the brow of the hill, to one side. The ritual landscape at Etton/Maxey is confined to a very low-lying gravel island in the Welland floodplain. Unlike other parts of the Fen margins, much of the landscape of the island never seems to have been partitioned into fields. This surely suggests that it was regarded as special. Ritual landscapes went out of use quite suddenly in the centuries on either side of 1500 BC and were replaced by less grand, smaller-scale shrines, often near marshes, springs and rivers. These places usually feature offerings of food and metalwork and they continued into Roman and even Saxon times. Today they are often described as Celtic. In my book HOME: A Time Traveller’s Tales From Britain’s Prehistory (Penguin, 2014) I describe the social changes that happened around 1500 BC as a ‘Domestic Revolution’. 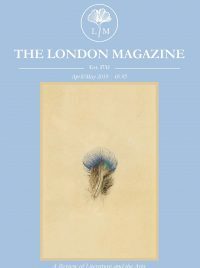 Essentially we are witnessing the start of local self-governance and the end of the initial pioneering phase of British prehistory, which required the strong, pan-regional drawing-power of places like Stonehenge, to help cement a far-flung population. By the mid-second millennium BC, that need for cohesion was less pressing, as Britain could now boast a developed landscape, with a network of roads, tracks, villages, farms and fields. Finally I sometimes wonder whether ritual landscapes are indeed just a prehistoric phenomenon. Indeed, the more I think about it, the more I realise that the need to travel, discover and re-imagine is part of the human condition. In the Middle Ages people from all walks of life regularly went on pilgrimages and of course they were familiar with what the various places they were travelling through signified. Pilgrimages, just like their pre-Roman antecedents, were never about exploration, de novo. Instead the exploration was personal and introspective. I have heard British Muslims who have returned from the Haj. They rarely talk about the physicality of the experience: what they saw and the people they met. Instead their minds are full of how their appreciation of their faith has been deepened. Certainly the crowds and the beautiful architecture played their part in the process, just as the mystery and majesty of places like Avebury and Stonehenge must have affected people in the Bronze Age, but individual people were affected in their minds and their emotions. So I would suggest that for westerners, many of whom, like me, do not believe in religion, the most sensible course is to continue visiting places that move you. For me, it’s usually great houses and gardens: places like Stourhead, or on a far smaller scale, Gunby Hall, in Lincolnshire. I still find ancient churches strangely moving; indeed, I often visit Peterborough Cathedral, my local large church – and surely the least appreciated great Norman building in Britain (with the nest 13th century painted nave ceiling in Europe). I suppose the point I’m trying to make, is that we all cherish our own ritual landscapes, but we should remind ourselves that they do actually matter – and at a very profound level. Modern life so often lacks the numinous, mystical experiences that help us maintain a sense of proportion. Personally, I believe that our own ritual landscapes transcend work and career; they also allow us to combat that all-pervasive curse of our time: ambition.